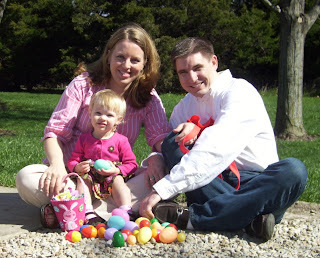 An Easter post on Easter day??? What is this family coming to? 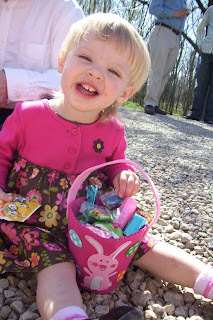 Easter weekend was a time of great adventure for us. Avery got to do all sorts of fun things and thankfully the weather cooperated. 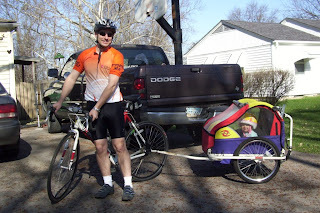 Saturday morning Kevin borrowed a bicycle trailer and took Avery out for her first ride. I was so proud of her when she climbed in as soon as it was ready to go. She rode around the block with Kevin once and really enjoyed it. 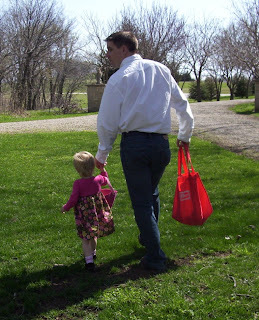 Later that morning she rode to the park and back with Daddy. They had a great time, but as you will see in the following pictures, there was a slight incident with a slide meeting a cheek. Chalk it up to Avery demanding to be independent while going down the big slide. 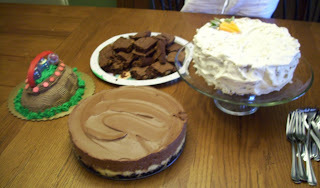 complete with 4 types of dessert and an Easter egg hunt! So fun. Avery is at the perfect age this year to enjoy the hunt and she was loving it!! 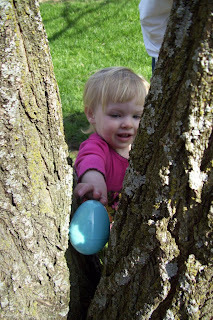 We had a blast following her round the yard watching her face light up every time she found an egg and placed it in her basket. 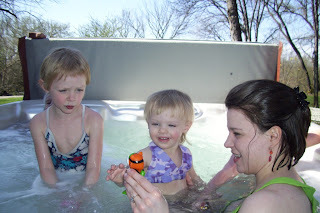 After the egg hunt Avery got to swim in the spa with cousin Brooke, Lexi, and Aunt Lisa. We had a hard time getting her out of the water! 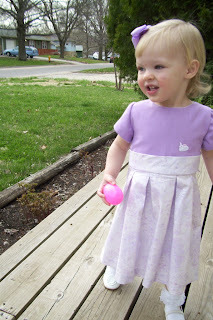 Easter Sunday came and Avery got to wear her brand new Easter dress made with love by Nana. 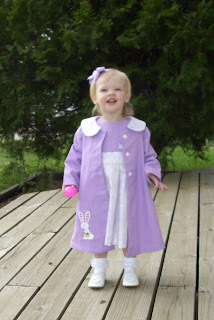 It was so sweet and Avery was very excited to wear the "hop-hop" dress. 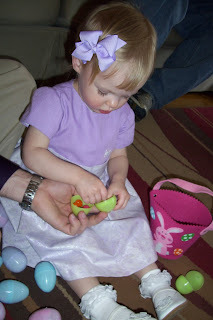 After church we had some friends over for dinner and had another Easter egg hunt. 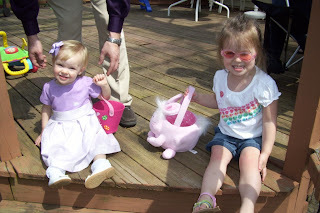 The girls were so excited and had a fabulous time searching the back yard. 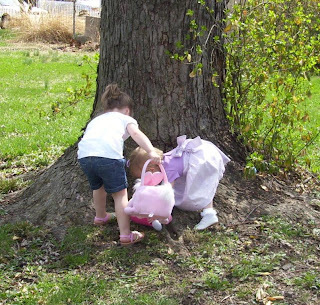 I suppose there is no minimum age for stealing someone else's find. 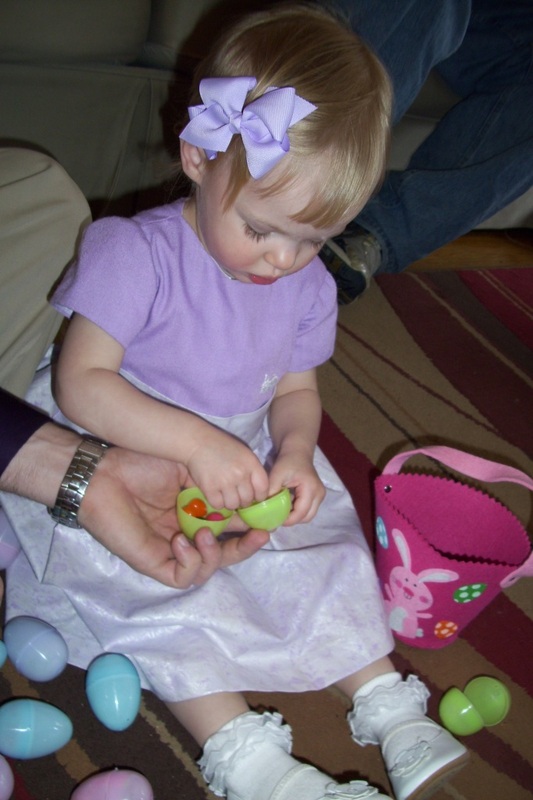 Luckily, they both ended up with overflowing baskets of eggs. Then the best part, finding the chocolate inside each one. 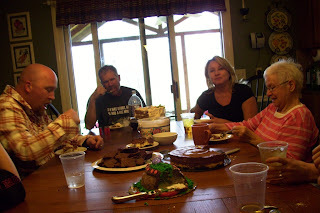 So another successful Easter celebrated by the Dodd family! What wonderful memories were made! Thank you all who were involved! Look how long that ribbon stayed in her hair! 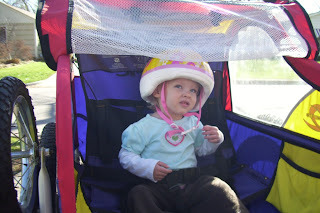 Loved seeing her so comfy in the bike trailer!